Summit Racing now carries Mahle Diesel PowerPack Pistons. The pistons feature bowls that are specifically designed to mitigate piston crown erosion caused by high cylinder pressures and long duration, advanced ignition timing, making them ideally suited for performance diesel engines. Summit Racing now carries Mahle Diesel PowerPack Pistons. 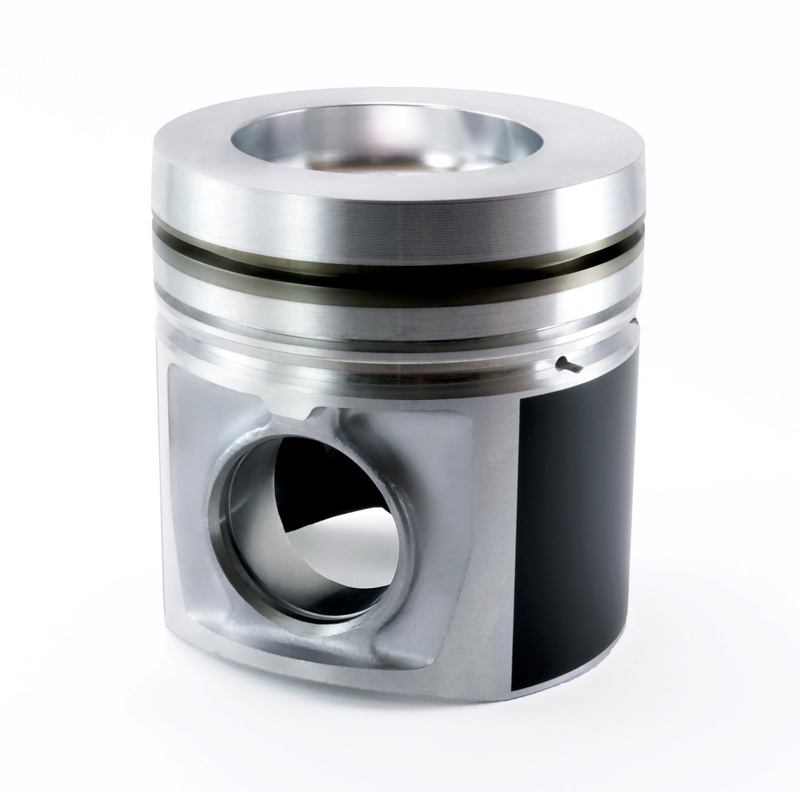 The pistons feature bowls that are specifically designed to mitigate piston crown erosion caused by high cylinder pressures and long duration, advanced ignition timing, making them ideally suited for performance diesel engines. The pistons are also coated in GRAFAL® to reduce drag and increase scuff resistance. These diesel pistons are designed for trucks making from 400-1,000 horsepower. They’re strong enough for competition-level pulling rigs, but since the pistons are derived from OE castings, they have daily driver durability. These forged pistons are best suited to dedicated drag and pulling trucks. The forgings eliminate the piston’s steel top ring groove to gain strength and a performance edge. The drawback is a reduction in the piston’s service life. Performance Forged pistons are machined from Mahle’s exclusive M142S alloy, which gives them excellent thermal resistance and low expansion characteristics. These pistons are at the top of the Mahle performance heap. Their all-steel construction makes them the ultimate choice for high-performance competition and serious towing duty. Diesel PowerPak Pistons are currently available for Dodge 5.9L Cummins and Chevy 6.6L Duramax diesel engines.